I love hearing from anyone who is faithful and kind enough to read my blog. After Tripping on a Pothole, I heard from lots of you. 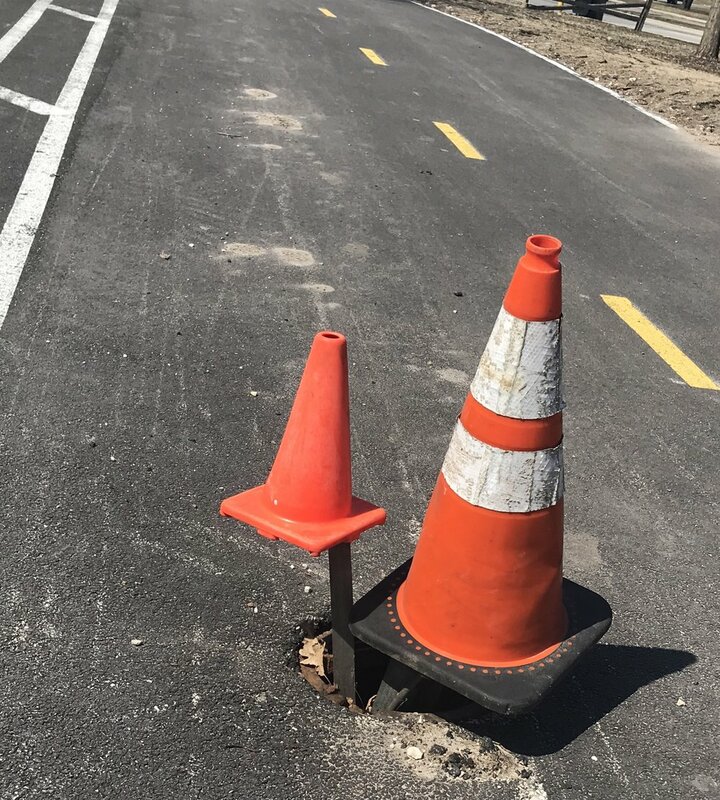 In addition to your kind and caring words, I also received a photo of a pothole on the Chicago bike path. The city had the decency to mark this one—which they did with great zeal.